I’m banned from most servers and for this reason I’m unable to play properly but today I was playing when the player Kmicic (http://steamcommunity.com/profiles/76561198163532630/) votekicked me w/o a valid reason. 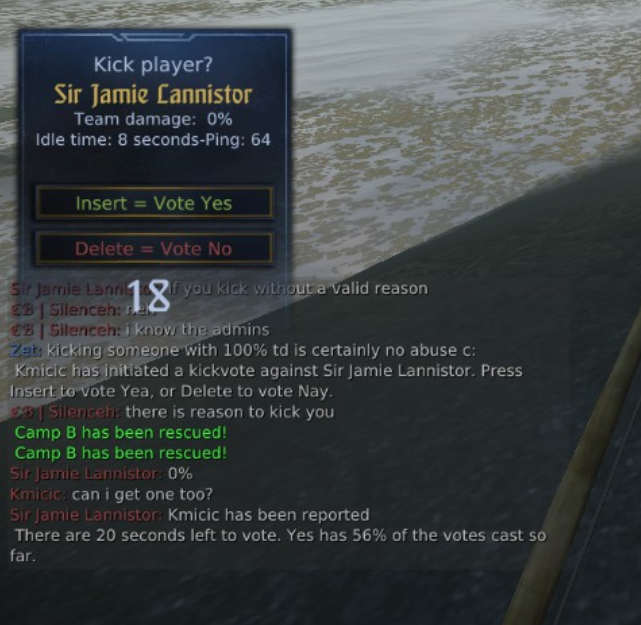 Since I myself was banned for ALLEGEDLY abusing the votekick, I’d expect that the person who initiated the votekick, Kmicic, should get banned as well. Thanks. If you’re banned from official servers, then this took place on a private one, and the official rules don’t matter on private servers. @Naleaus Nope. This happened on an Official server. I’m banned from MOST servers but I’m still able to connect to some Official ones… I’ve only been able to connect to a few 24 player ones.